AFP — It took a century, but the theory from Albert Einstein handwritten neatly on paper that is now yellowing has finally been vindicated. 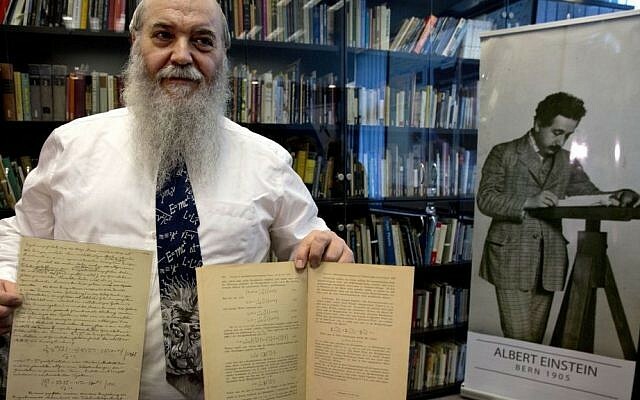 Israeli officials on Thursday offered a rare look at the documents where Einstein presented his ideas on gravitational waves, a display that coincided with the historic announcement that scientists had glimpsed the first direct evidence of his theory. 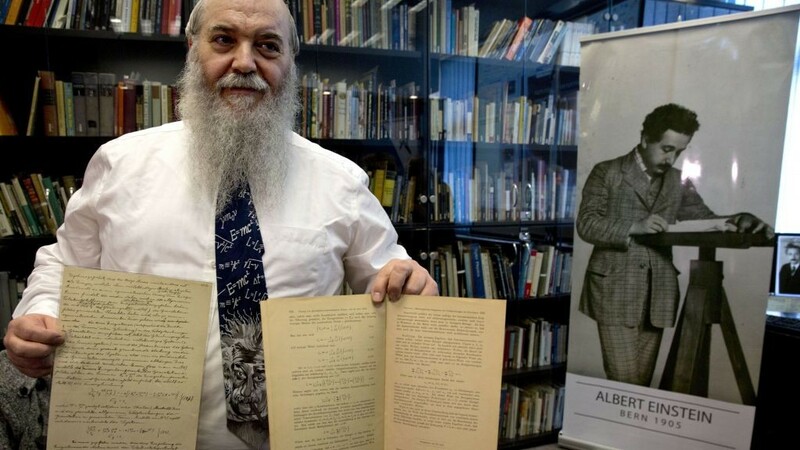 “Einstein devised this with pen and paper, but it took humanity 100 years to develop the tools to catch a glimpse of it,” said Roni Grosz, curator of the Albert Einstein Archives at Jerusalem’s Hebrew University, pointing to two pages. One was the first document in which Einstein fully presented his theory of gravitational waves, while the other was a page from his 46-page theory of relativity, written in 1916 and 1915 respectively. They were written neatly in German, with corrections made within the text. The theory of gravitational waves was developed by the German physicist 100 years ago. 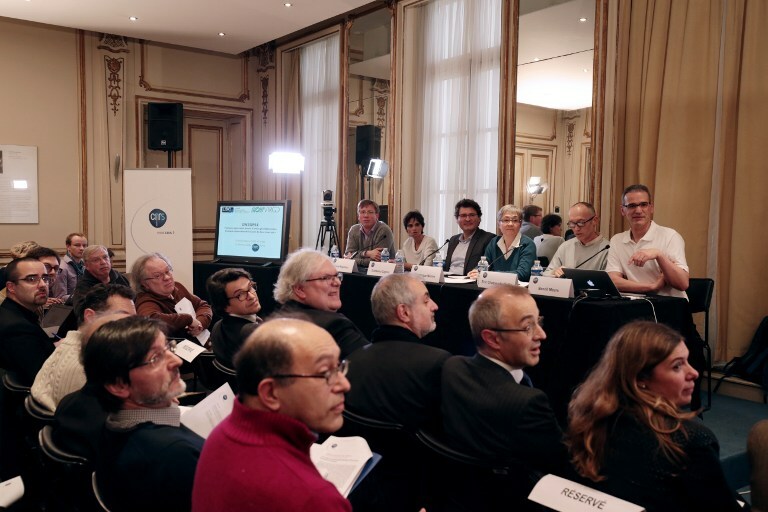 In a landmark discovery for physics and astronomy, international scientists announced in Washington on Thursday that they had glimpsed the first direct evidence of gravitational waves, or ripples in space-time. Einstein’s theory states that mass warps space and time, much like placing a bowling ball on a trampoline. Other objects on the surface will “fall” towards the centre — a metaphor for gravity in which the trampoline is space-time. It was a central pillar of Einstein’s theory of gravity, but had never been proven. Barak Kol, head of physics at the Hebrew University, explained the size of their impact can be as small as “one thousandths of the nucleus of an atom”. Kol, who had worked on trying to prove the theory, said the discovery was a historic day for scientists and those concerned with Einstein’s legacy. “It is the end of a part of the journey that took 100 years since it started with the idea of one person,” he said. Einstein visited Jerusalem in 1923 to launch the university 25 years before the state of Israel was formed. A German Jew, he was concerned by the restrictions on education for Jewish people in Europe, Grosz said. In 1952, then-prime minister David Ben-Gurion offered him the presidency of Israel but he rejected it. “All my life I have dealt with objective matters, hence I lack both the natural aptitude and the experience to deal properly with people,” he said in a letter. When he died in 1955, Einstein left all of his works to the university — making it the world’s most extensive collection of his documents.